CLEARFIELD – The Clearfield Area United Way needs “just a little bit more” to reach its 2019 community campaign goal. 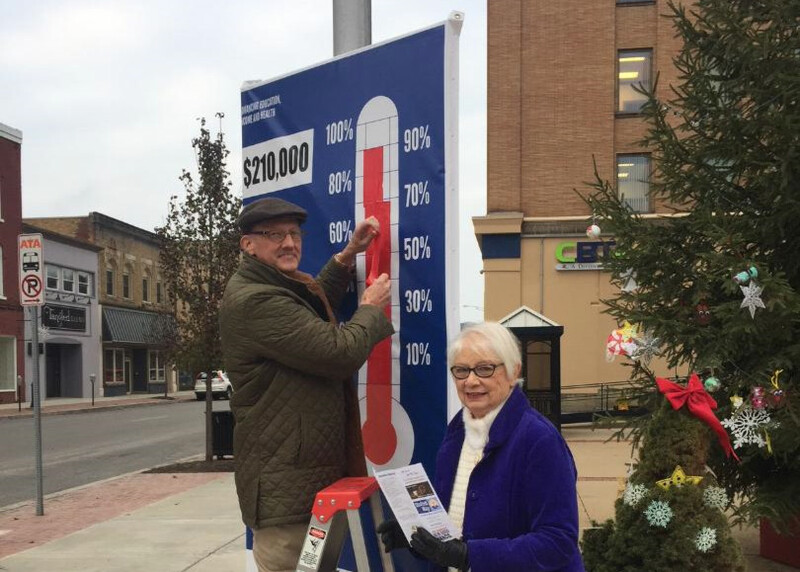 Joel Peterson and Pat Bishop, campaign supporters, show that 10 percent more is needed to help CAUW reach the top. This year the CAUW volunteers’ goal is to reach $210,000, and they’re asking people to help others throughout Clearfield County. Volunteers will keep busy in the coming weeks mailing letters and making telephone calls to prospective donors. Tax-deductible donations are needed and checks can be sent to CAUW,18 N. Second St., P.O. Box 1430, Clearfield, PA 16830. People can also give through PayPal at clearfieldareaunitedway.org and or to the CAUW Legacy fund.